Whilst forklifts are an essential part of any warehouse operation, it’s widely recognised that they are one of the biggest potential risk factors for damage to staff & fixtures alike. Forklift safety is usually front and centre of any business’ OH&S procedures but general forklift operations frequently result in damage to other assets and pallet scales are one such example. With operators often rushing to place pallets on and off a floor scale, it’s quite common for the forklift to still be moving forwards as the load is placed onto the scale and occasionally the driver accidentally hits the scale. As one of Australia’s leading scale manufacturers and service providers, A&D see the results of forklift damage far too often. Sometimes it can be as simple as a snapped or distorted scale foot, but if the impact is strong enough, it can cause massive side-load stress that damages a more expensive component like a loadcell – damage that can now be prevented thanks to a cost effective barrier system designed by A&D’s Adelaide based Engineering team. A&D Weighing’s forklift barriers can protect your business from damages caused by inadvertent forklift mishaps. Once bolted in place around the accessible sides of a floor scale, these heavy duty steel barriers can protect the load cells which are the key component of low profile pallet scales, helping to reduce unnecessary upkeep costs or downtime caused by accidental damage. 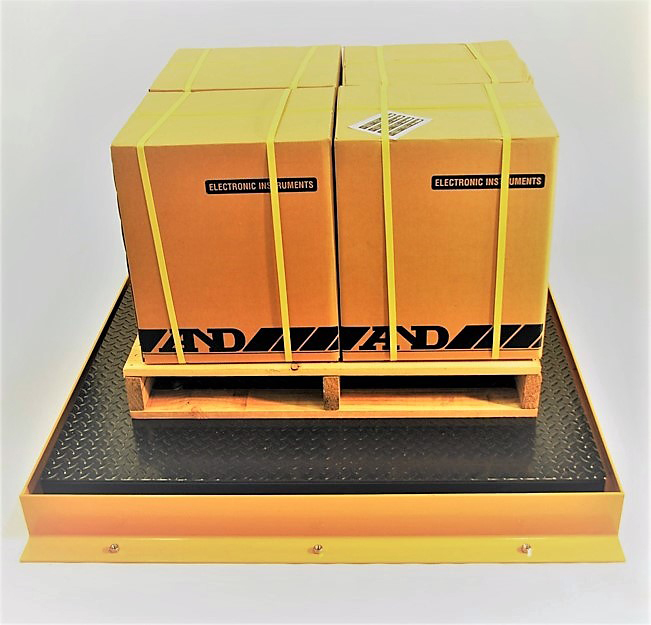 The barriers are finished in high visibility safety yellow (or galvanising finish upon request) and provide heavy duty protection to protect against forklift side loading on the ELP and A&D series pallet scales. The barriers can be sold in kits of 1, 2 or 3 pieces with dynabolts supplied for easy fixing to a concrete floor. The barriers can also be used in other applications such as protecting walls/racks/cartons from damage in facilities where forklifts operate. Get in touch with A&D today for custom weighing and scale solutions for your business.